How beautiful are these #IndianRailways trains 🇮🇳🚂! 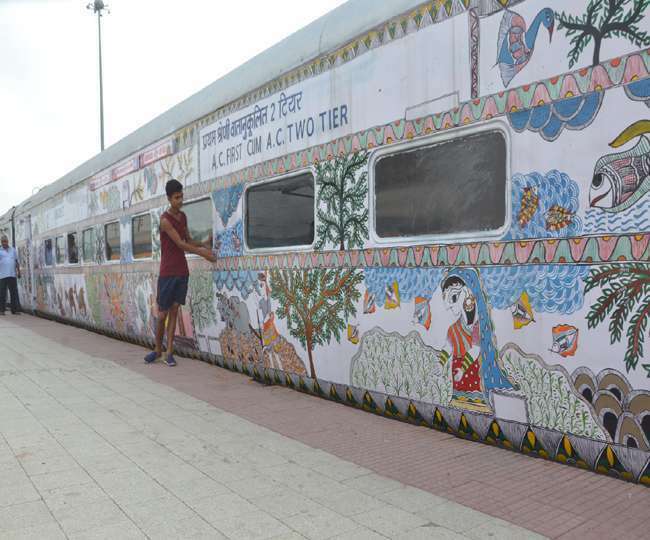 Women from #Bihar painted these coaches with traditional #Mithila art, also known as #Madhubani, using their fingers🖐🏾, twigs 🌿, matchsticks & brushes 🖌️ with natural dyes & pigments! इंग्लैंड के इस खिलाड़ी ने अचानक क्रिकेट को कह दिया अलविदा, विश्व कप टीम में था शामिल !